The 22 KT Colourful Kundan Gold Necklace with a stone weight of 33.10 is truly inspired by the fiery of the woman inside you. It is one such elegant piece of jewellery that fit flawlessly into with the big fat Indian wedding scenario. 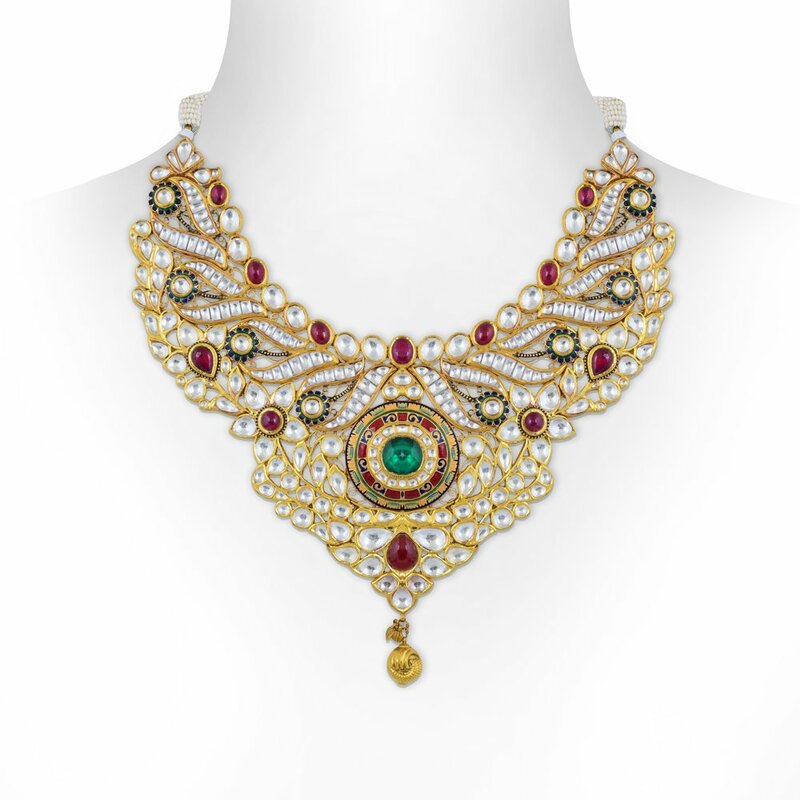 Designed to perfection, this gold necklace will surely set the standards high for everyone in the room.